The Annual Alumni Shore Reunion, for the second straight year, was held at the Essex and Sussex in Spring Lake on Saturday, Sept. 24. 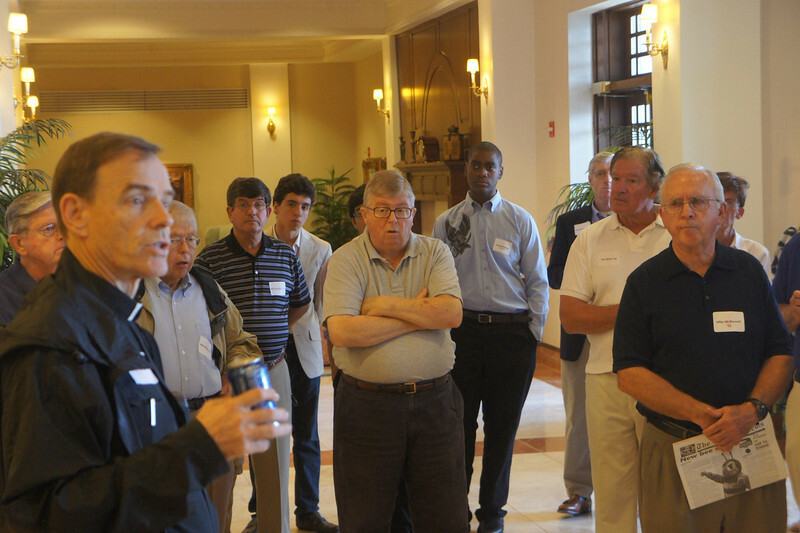 The event again drew and overflow crowd of almost 70 alumni to the Solarium at the luxurious oceanfront condos. Headmaster Fr. Edwin Leahy '63 gave short introduction and overview of St. Benedict’s today. Pete Cahill '60 was chiefly responsible for reserving the location again this year after the event was such a success in 2010.